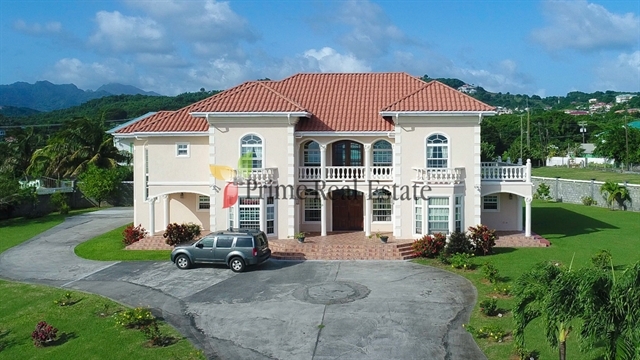 Chateau de la mer is a two storey residential home that is located in the upscale neighborhood of Ratho Mill on the southern tip of St.Vincent. 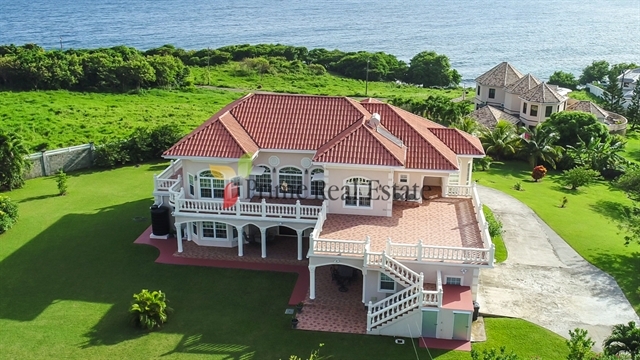 One can enjoy breathtaking views of the Grenadines islands and surrounding areas. The property is accessed through electronic gates and the garden is beautifully landscaped with fruit trees. On the ground floor, there is an expansive living room area which is perfect for entertaining, and one can admire the beautiful tray ceiling made of imported wood which adds that touch of elegance to the overall décor. The kitchen is fully equipped with all modern conveniences and it adjoins a small breakfast area that leads into the formal dining room. Additionally, there is also a master bedroom, powder room, study, laundry area, self-contained maid's quarters and a two car garage. The first floor consists of three ensuite bedrooms and a small gym. There is a spacious patio that faces Canash beach which is perfect for entertaining. All windows throughout the property are double glazed and hurricane impact rated for added protection during the hurricane season. 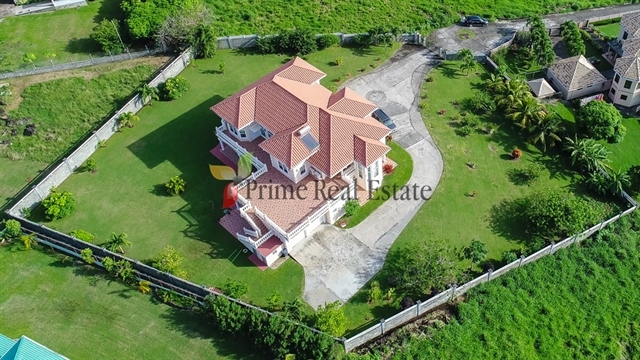 The property is approximately fifteen minutes drive from the capital Kingstown, and the newly constructed Argyle International Airport. Chateau de la mer is the perfect dream home. Contact us to arrange a viewing today!